I knew right away when I arrived that I would need to buy a car. This place is more into driving than Texas is. And the driving is crazy, so I knew I needed a big car and that I would want to go off-roading. After looking around, I finally decided that I would get a Jeep. That is when the adventure began! Unlike in the US, where you could walk into a car dealership and walk out later that day with a car, the process here takes time. 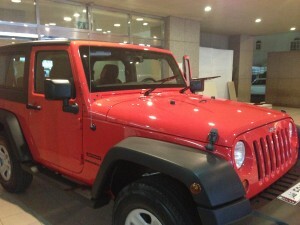 First, I went to the Jeep dealership and looked at the Jeep Wrangler. I asked about price, warranty, upgrades, etc. The first thing that surprised me was they just had one car out of each model they sell. I never actually saw the car I was buying until I picked it up after it had been paid for! I left and thought about it and decided I want to go for a test drive. I called and made an appointment to test drive the car. Again, you can’t just walk in and test drive a car here. I didn’t even test drive the model car I was buying! 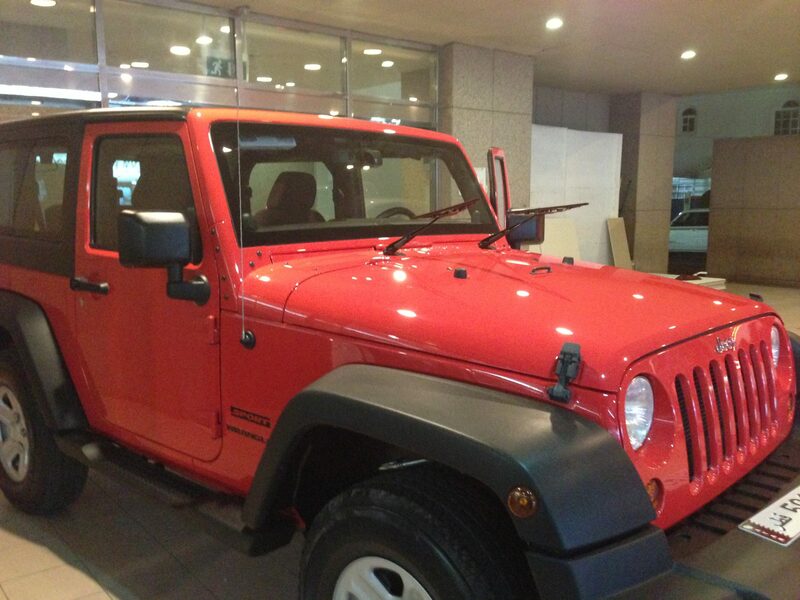 I test drove the Wrangler Rubicon not the Sport. After the test drive I told the salesman, I wanted to purchase the car. He looked on his list to see if they had the color and model I wanted. I was in luck and they had one left. I still didn’t leave with a car that day. Good for you, Tif. I guess they don’t have used car lots either. I am glad you are “allowed” to drive. Enjoy the Lobster.